Helen Ruth Staff, born on February 28, 1939 in Mechanicsville, New York to Mike & Ruth Kristof. She had two sisters and one brother that preceded her in death. Helen had 10 children with two sets of twins, she has 15 grandchildren, 29 great grandchildren and 3 great-great grandchildren and many friends and was loved by many. She loved the Lord and listened to Christian music and loved to watch the Golden Girls, Family Feud and playing cards. 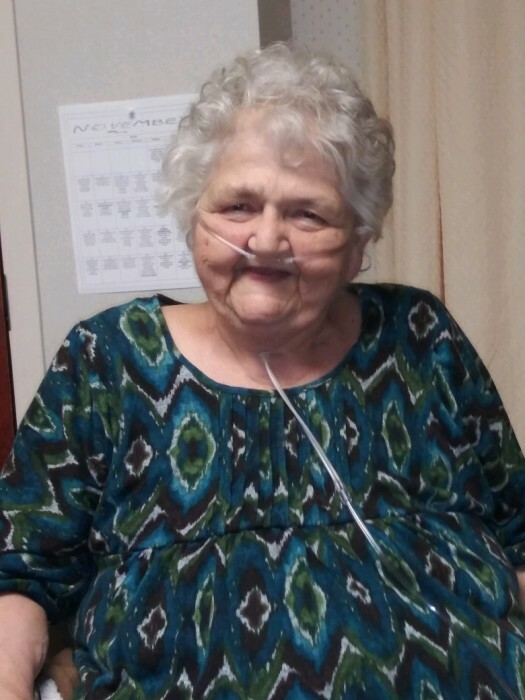 She went to be with the Lord on March 30, 2019. Helen was a member at the Church of Christ. Memorial services will be 10:00 a.m. Saturday, April 6, 2019 at Downtown Church of Christ.